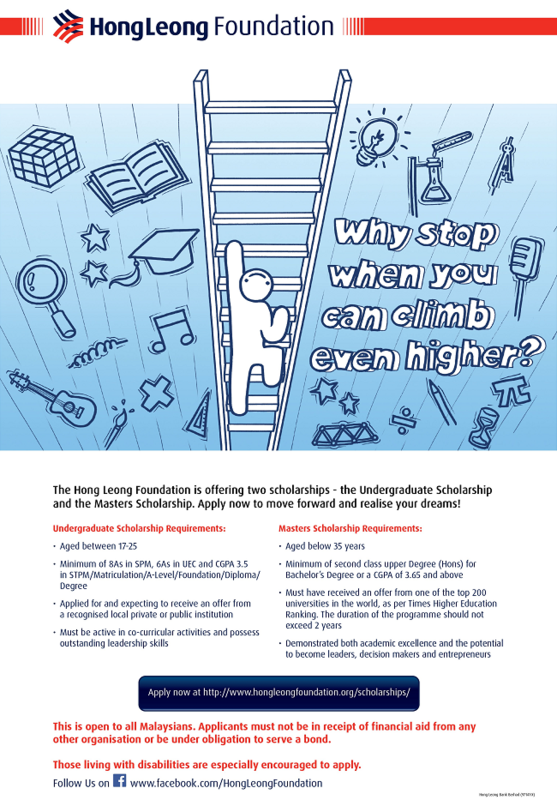 Hong Leong Foundation Scholarships 2018- APPLY NOW! The scholarship is offered to Malaysian students aged between 17 to 25 intending to pursue Diploma, Advanced Diploma or Undergraduate Degree (1st Degree) programme in ANY field of studies on full time basis at recognised public and private universities and colleges in Malaysia. People living with disability are encouraged to apply. Please visit the Hong Leong Foundation Facebook Page or click directly to the google form link to APPLY.